What is “Line of Sight”, and why does it matter? 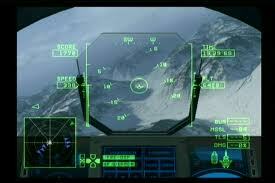 For me, the words “line of sight” conjure up a lot of mental images ranging from the fighter jet “locking on” to a hostile enemy aircraft, to a rifle shot zero-ing in on a desired target, to a satellite vector controlling a local GPS receiver in your vehicle. Whatever image is produced for you when you hear these words, it is likely to be a good metaphorical reference that will be helpful in designing or refining your Performance Management system. 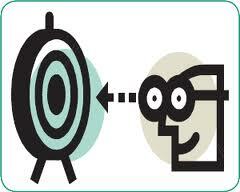 For me “line of sight” thinking is one of the most important principles in the whole Performance Management discipline. And it is the absense of that thinking that is creating many of the challenges and failures with our organizations. When I describe this concept to my clients who are responsible for EPM within their organizations, most will admit that it is the very thing that is lacking for them. They may have the best metrics, systems, and reporting structures known to man, but without that “line of sight” connectedness, it may all be for naught. For example, how many times do we hear employees and managers resist change because they don’t think management even has a defined strategy? Or that the things they are measured on really produce value to the bottom line? Or worse yet, that accountabilities (where they exist) are simply ideas dreamed up by middle management with no connection to what the executives really want, or what is needed by the business? Broken linkages can occur at any of these levels, and most anywhere in between. We spend millions on key elements of our Performance Management program without ever tying those parts together. In any EPM program, there consists lots of components and moving parts, all of which cost money and time to build (IT tools, HR tools, Dashboards, etc.) But think of spending all of that money and time, but failing to establish the critical nodes or tie ins that make the system work cohesively. Or having barriers to those systems that prevent them from functioning effectively. Think of those infamous GPS signals that go out or “recalculate” at the very time you are at a critical juncture in your journey. Or as I read in a good post a few days ago, the frustration you feel when you get into your rental car and can’t get the GPS connection until you’re already on the highway going the wrong way (simply because they don’t work while in the rental car garage because of the concrete structure). When that GPS linkage breaks, it is of no value to anyone. For me, perhaps the most frustrating thing is when I am on the golf course, and my “personal (GPS) caddy” suddenly has a “senior moment” (failed connection) right before a critical shot! Talk about slowing the “pace of play”!!! So where are these missing linkages? Absence of a back-end “value capture” process that ensures completed initiatives produce their expected ROI (i.e. a real, measureable and visible change in a KPI AND the associated impact on the bottom line (e.g. EBITDA, Market Share, Revenue Growth, etc.). Inability to effectively link reward structures to all of the above. These are only a few that are “top of mind” for me at the moment. But the list goes on and on.I encourage you to reflect on where these breakdowns occur in YOUR organization. Only then can you deploy some critical fixes, and apply some of the essential glue that is needed between the fractured linkages. What causes “line of sight” breakdowns ? Of course, the failure to establish these linkages can occur for several reasons, some of which are not apparent on the surface. 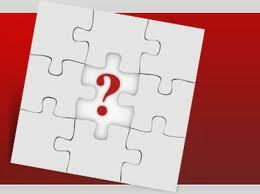 First, certain parts of the process may in fact be missing all together. For example, while we all think we may have a “clear vision” for the business, most do not. Clarity is one thing. But making it an aspiration that is both compelling and engaging is much more essential to your downstream success. Without it, those follow-on connections become far more difficult to establish, and can be like trying to bind wood to air. Another reason, is that often many different organizations and processes have responsibility for different pieces of the EPM puzzle. You can read about this in another recent post about the impact of this, and how to begin linking these processes together. But suffice it to say, we’re talking about everything from IT to HR, and Corporate Strategy to Finance, and many processes in between. Having accountability for the entire EPM process is the critical first step in repairing this type of integration breakdown. Finally, but on a related note, a very significant problem resides in the way the organization treats the management and execution of projects (I’m talking about those small improvement projects, to the largest capital projects that exist within the enterprise). This is part of a much bigger topic which I call “commitment management” which I have written about previously- which at its core, is really all about the organization’s culture and how it manages commitments and “promises to deliver” (and what happens when they do and don’t deliver). For many organizations, the linkage between “project management” and “performance management” is one that is rarely even thought about in this context. And as unfortunate as it may be (albeit unintentional I’m sure), consultants and IT vendors are in large measure actually responsible for this lack of clarity through the myriad of solutions (and their variants) that they continue to flood the market with (EPM, BPM, PPM, BI, etc.). I mean, come on…really? Just as I indicated when discussing where the breakdowns reside, the list of causes can be much broader and more complex than simply those referenced above. And many of them can be just as debilitating. But starting this dialogue, and initiating the thinking around these breakdowns and causes is a clear first step. So I encourage you and your team to do a little bit of serious thinking on this topic and create your own inventory of where and why these disconnects occur in your business. We at onVector have done a lot of this work and developed what we call “Performance Integration Maps” that help our clients identify, visualize and address these types of gaps in their Performance Management program. But whether you use a consultant to assist in thes process, or do it yourself, the important thing is to make it a priority and take the first step. Resolving the issues can also be a challenging endeavor, and can sometimes take months to years to get the culture aligned in a way that supports it. But the value can be enourmous to the achievement of your organizational objectives, KPI’s and the associated bottom line impact. And when that type of culture and thinking is in place, it becomes an institutionalized “way of life” for the business. Imagine for a moment the magnitude of investment, and time it took for you to get the various component parts of your performance management process in place. For many of us, “line of sight” can be the key ingredient in allowing you to harvest that impact and ROI that you initially desired. And to moving forward without it, is to allow your team to continue flying blind. This entry was posted in Budgeting and Reporting, Business Process Improvement, CAPEX, Change Management, Corporate Performance Management, Customer Service, data quality, Enterprise Performance, KPI, Performance Management, Performance Measurement and tagged Line of Sight by Bob Champagne. Bookmark the permalink. Too many metrics can be a major distraction and cause for confusion especially where there is no vision or mission to direct the efforts of the team. I recall working with a manufacturing company where a handful of metrics were used that touched all major facets of the business. All were tied to clearly established and defined financial performance measures on the balance sheet. Monthly reviews were rigorous and intense. Variances were reviewed and explanations were required for both positive and negative trends. Accountability and integrity were at the core of the review process. It was clear, at least for this particular organization, that successes must be understood as well as the failures – we can learn from both. How can we repeat our successes and show others in another division? What failed and how can we prevent it from occuring in another division? Sustainability, also a major topic of discussion in today’s times, was the second component of the monthly review. In short, trend analysis was performed where the goal was to achieve month over month improvements and, at a minimum, sustainable performance over time was expected. So, this brings me to what I find is one of the greatest disconnects – a failure to link operations metrics to financial metrics. Theoretical savings and improvements that have zero impact on the bottom line are sure signs of concern. We save “X” hours of set up and reduce cycle times by “Y”, yet we haven’t sold the open capacity and continue to work as many hours. Business plans and department budgets are based on specific operational performance expectations. Unfortunately, these expectations are often poorly defined or lack the level of detail that permits effective management in the form of metrics at the process level. We measure various product characteristics and attributes in production to ensure that parts will fit or function as intended by the customer. If only we could make similar links between performance measurements and financial expections of our stakeholders. An excellent topic that is sure to spawn much more discussion in the boardroom. Lots of fodder to work with here. Look forward to the continued dialogue. With regard to HR, too many companies overlook the opportunities available to measure and manage the performance of their people. It is interesting (and sad) to note how many companies still rely on annual appraisals to “track” employee performance. When I consider the labour components (direct, indirect, and SG&A) of our financial statement, I am always reminded how important it is to surround yourself with the best and most talented people. It is not unreasonable to establish goals and objectives for each employee where measurable results require the same high degree of accountability and integrity as any other metric. Perhaps a topic for another post.